With an extended deadline for the MQG Michael Miller Fabric challenge, I'll have no excuse for finishing this one up on time. Now that members are uploading their entries on the MQG Community Forum I am very motivated. It was important to me that I created an original design and to incorporate a bit of machine appliqué which I don't do often. Actually - there are two quilts that I'm working on because I just couldn't seem to get my "parts" to play nicely together. The far right has progressed into a more improv design and isn't quite there yet.Here's my design wall at one point. 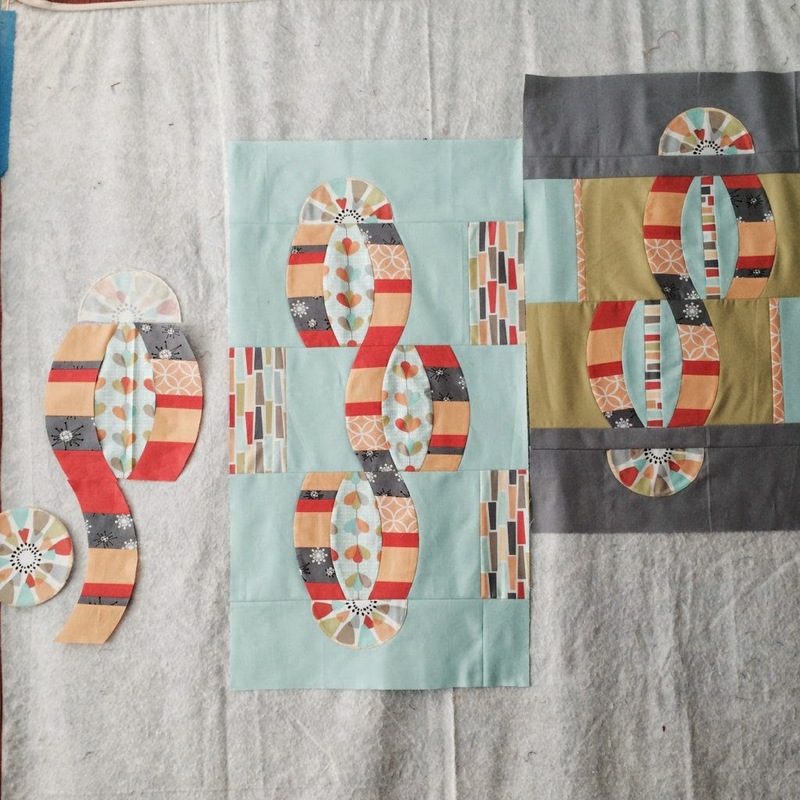 The initial idea was to have different lengths of hooks stair stepping in the quilt. The colors are much softer in petal pinwheel than my usual palette. The parts on the far left didn't make the cut at all although I do like the question-mark-ish shape that was happening and may revisit that concept later. 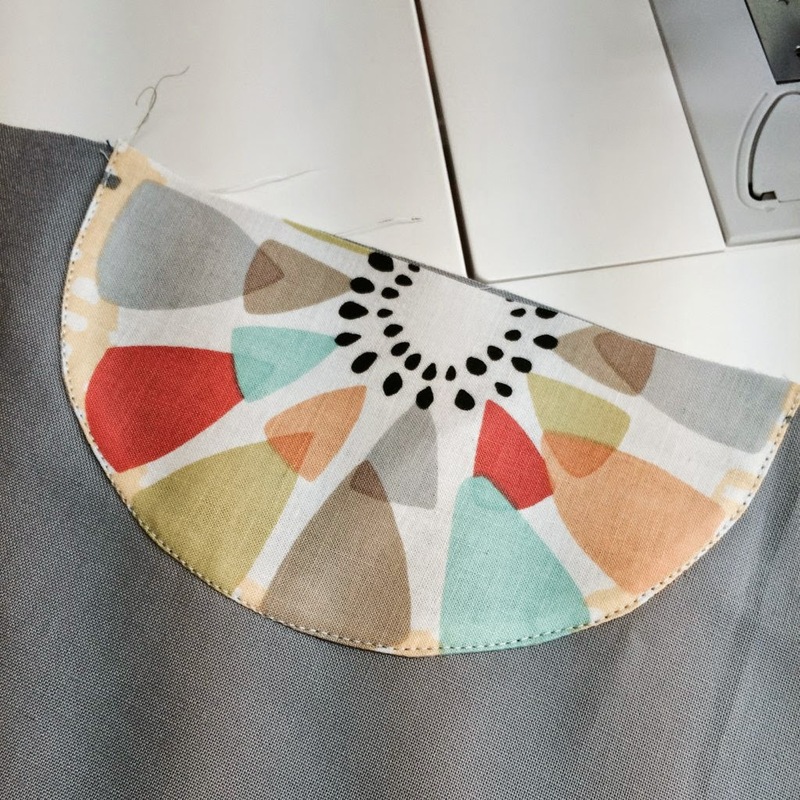 Linking up to WIP Wednesday with Lee at Freshly Pieced and as my June Goal for ALYoF. Are you ready to HOP? 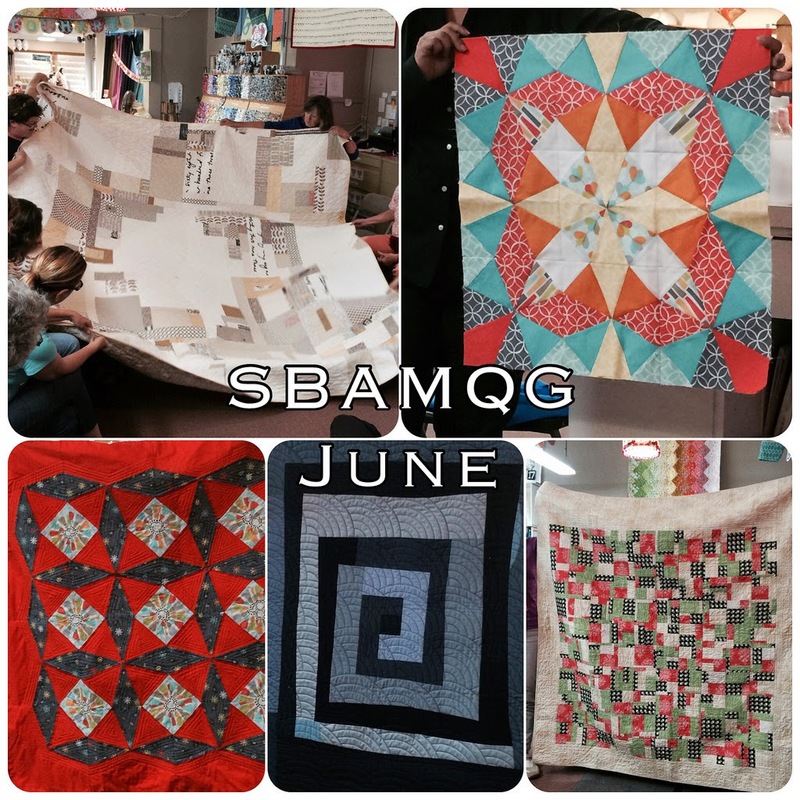 I'm excited to be part of the New Quilt Blogger Blog Hop this year. Plum and June hosts this wonderful series and I've learned so much already. Notice how my header is new and my sidebar is cleaned up?! The Blog Hop is in a few phases to give you a chance to check out as many of the 80+ participants that you can manage. I'll be on the July link up list so be sure to visit again then. Also, don't miss out on the Advice for New Bloggers at Plum and June. She has a convenient page listing participants from not only this year but from previous ones too. Even if you don't blog yourself, it'll lead you to some really great people!! 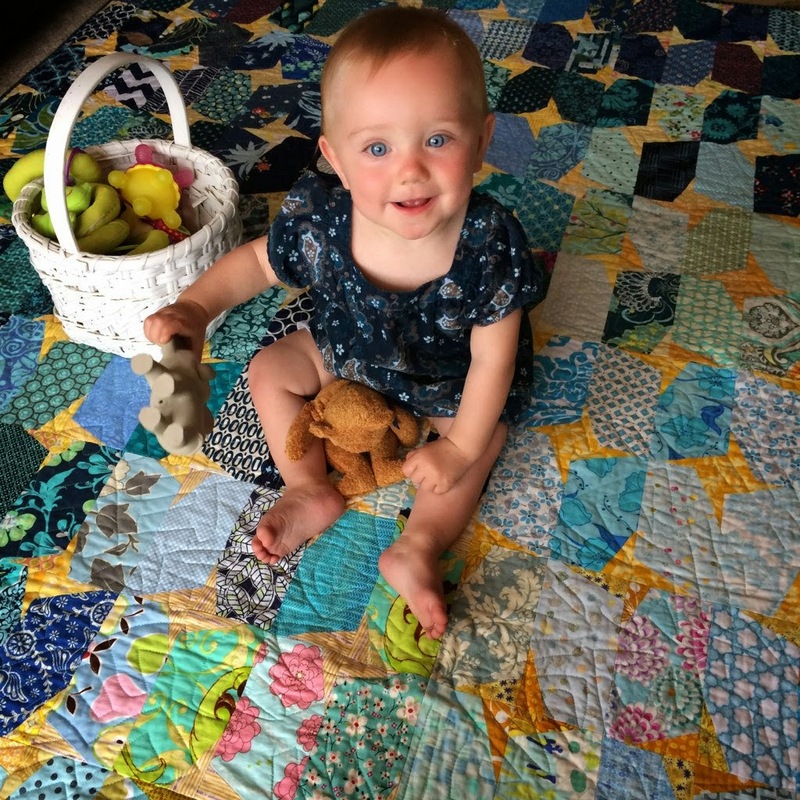 Lately it seems like there are more pictures of my granddaughter than of my sewing but at least many of them are ON my quilts! I'm lucky enough to spend time with her and we get to not only play dress up and photo shoot but I have fun matching up her outfit with the quilt. I'm still getting to know my iPhone and try not to get distracted by too many apps. One that I just love is PhotoGrid. Rather than spamming my Facebook and Instagram feed with a zillion pictures, I make a mosaic with a few quick clicks. Super handy for posting the Show and Tell photos that I take each month at our SBAMQG meetings. It use to take me much more time using BigHuge Labs Mosaic Maker along with editing in Avery on flickr. Now it's uploaded to our album before some members even get home. Linking up through WIP Wednesdays and the New Blogger's Blog Hop. I posted today - A little nervous being in the first group, but not that nervous. Lots of fun for you to lok forward to when you post. Good luck with the Michael Miller Challenge. Your quilt is lovely, and I especially like your fabric choices. 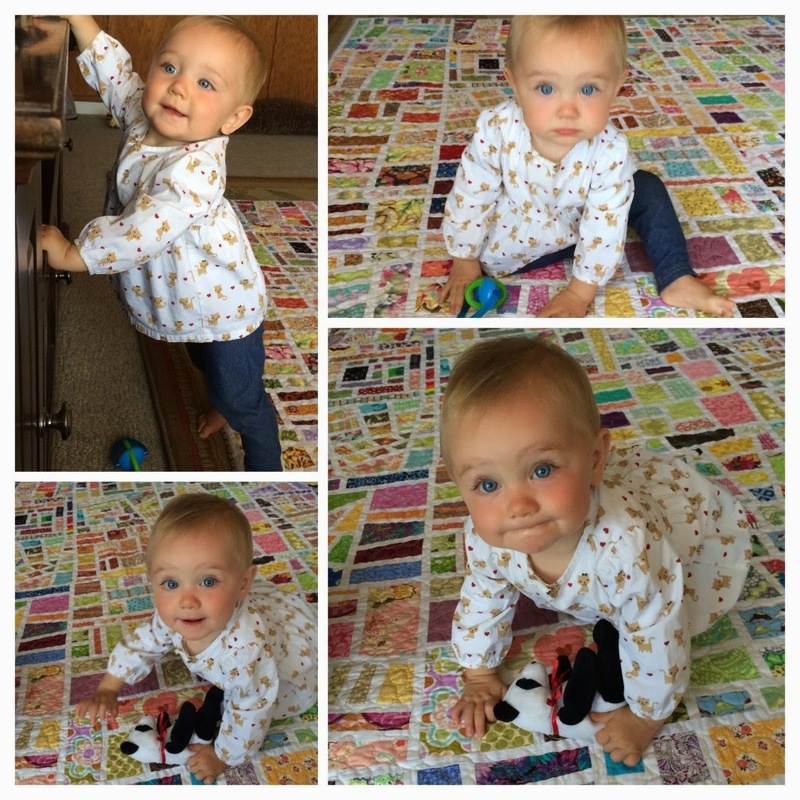 Nice photo of your grandaughter exploring your quilt on the floor. 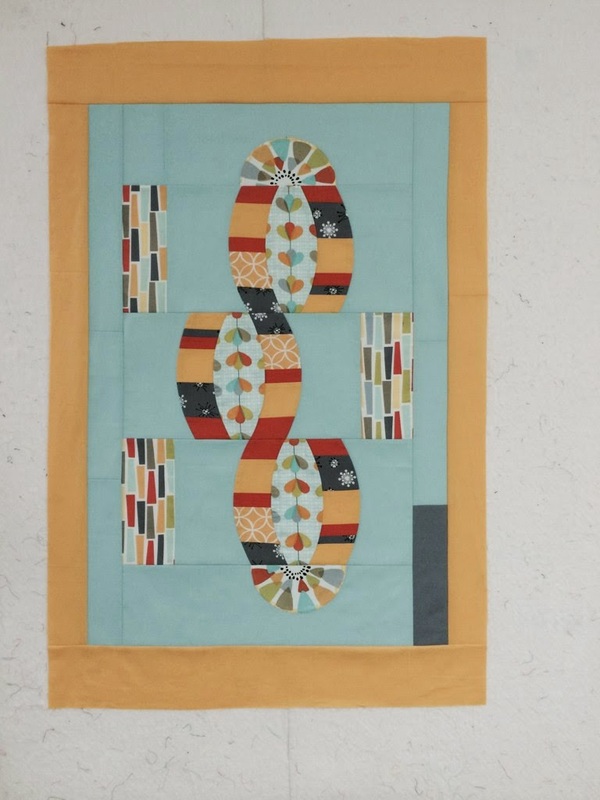 Hey Karen, I love the new header and the colors in the challenge quilt are great! What fun to have your grand baby near by. She is as cute as a button! Have fun on the blog hop.